Tourism Kelowna welcomed 12 travel agents from the UK, Australia, and New Zealand last week as part of a FAM tour organized by Destination BC and the Thompson Okanagan Tourism Association. The group toured up and down the Okanagan Valley, enjoying the many wonderful things to see and do along the way. After spending the night at the Delta Hotels by Marriott Grand Okanagan Resort, Tourism Kelowna hosted the group for an Okanagan Foodie Tour to introduce them to the many wonderful restaurants and eateries we have to offer visitors. The group started at the Laurel Packinghouse, where they sampled amazing bites and learned about the history of our beautiful city. This was followed by a tour and tasting at Okanagan Spirits. The group then made its way back to Kelowna International Airport so the travel agents could board their flights home. 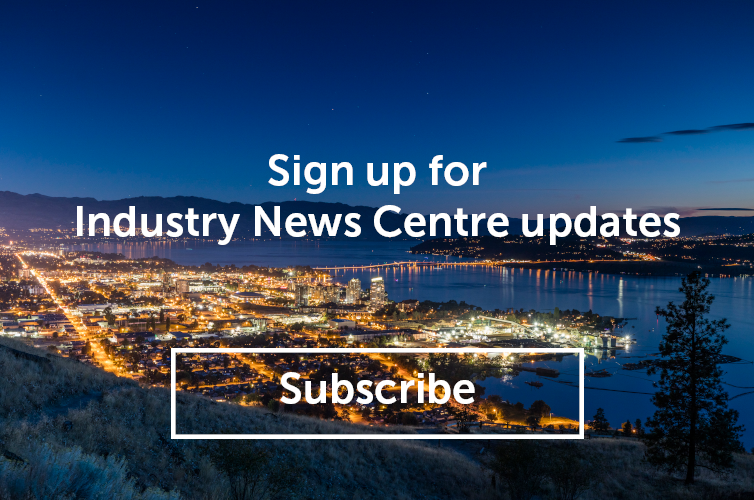 To learn more about our efforts to attract travel trade to Kelowna, please contact Jennifer Horsnell at jennifer@tourismkelowna.com or (250) 861-1515 ext. 205.